Do you know which is the best part of a puzzle game? It’s that they are addictive and you’re hooked on for several hours in playing a good puzzle game. Seriously, no one can deny this fact. But, are you sure that the game you’re going to download is a good puzzle game? Confused! You can’t be sure until you play the game. A good puzzle game can be recognised from a far view if they are really worth it. ‘ELEMELONS’ is one of them. 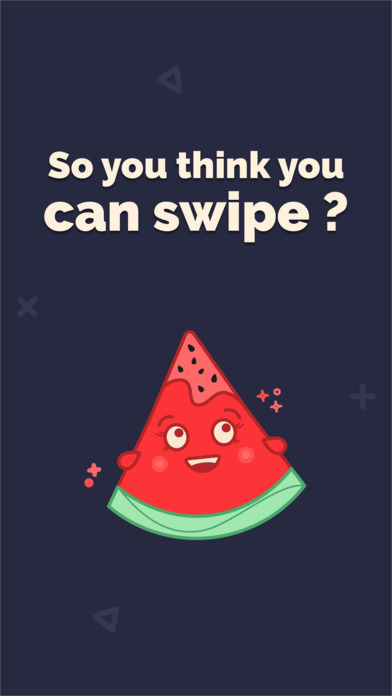 It’s an interesting puzzle game which is based on your swiping skills. Elemelons has been developed by Von Andrea Probst. The app is compatible with iPhone, iPad and iPod touch. It requires iOS 9.0 or any later version of the OS. Elemelons is a simple puzzle having lots of fun with it. Everyone likes fruits, especially in summers because it offers a variety of fruits to have. So, basically what I’m trying to say is that the story behind this gameplay is based on fruits called melons. According to the story, human beings get cursed due to all their time spent on social networks. The planet dissolved and its guardians shrinked as the four elements were reduced to melons. The four elements include the Earth, the Water, the Wind and the Fire which turned into Earthmelon, Watermelon, Airmelon and Firemelon respectively. Each Elemelon was defined by specifications inspired by the most popular social media influencers. The 4 Elemelons are of different colors such as red, blue, green and yellow. Your main goal is to match the Elemelon to its corresponding side of the same color. You’ll win points if you swipe them correctly. If you swipe an Elemelon to the wrong side with different color, it will end the game. You have to do this as fast as you can. As you proceed, the difficulty level of the game increases, more Elemelons will appear and the game becomes more addicting. So, you must have good swiping skills and you should be attentive in playing this game. In the beginning, there is time boosts provided to slow down the speed of the Elemelons. This will help you to swipe easily, but you have to use them when needed because they are limited. By watching a video, you will get an extra life and can continue the game if you think that the score is high. 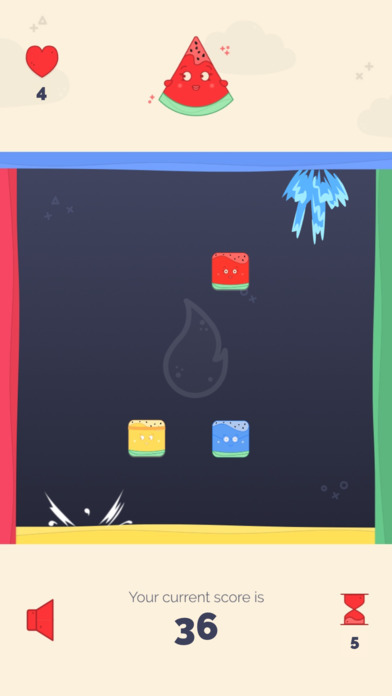 The game is very easy to play as you need to tap and slide only, in order to match the colors of the melon. If you are confused what to do then there is a tutorial which explains about how to play the game. It’s the best app for people who love to compete with other players as it allows you to play with them and beat the highest scores. The graphics of the app are cool and the sound effects are amazing. But there is one thing that will make you sad is that it’s not safe for children as there are unprotected links and video ads. So, only adults and young people should play this game. 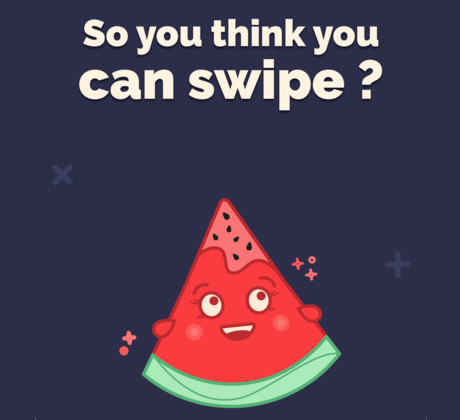 So, how far you can go and swipe? Let’s see in this amazing gameplay. The app is available for free in the App Store. Download it now! Pros: unique story; stunning graphics; requires swiping skills; easy yet challenging; easy to play; based on speed; free.